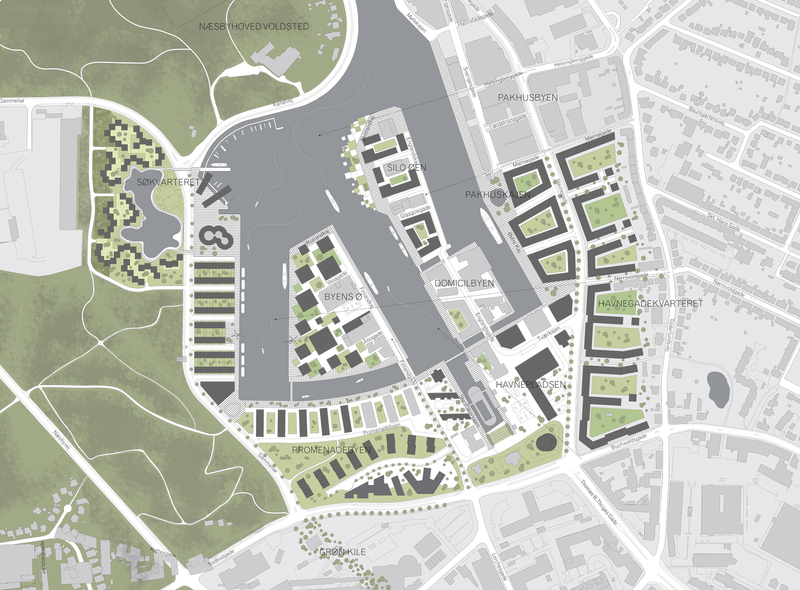 This masterplan for Odense Havn (Odense Harbour) will transform the former industrial harbour site into a lively and high-density neighbourhood, located adjacent to forests, water and the centre of Odense. 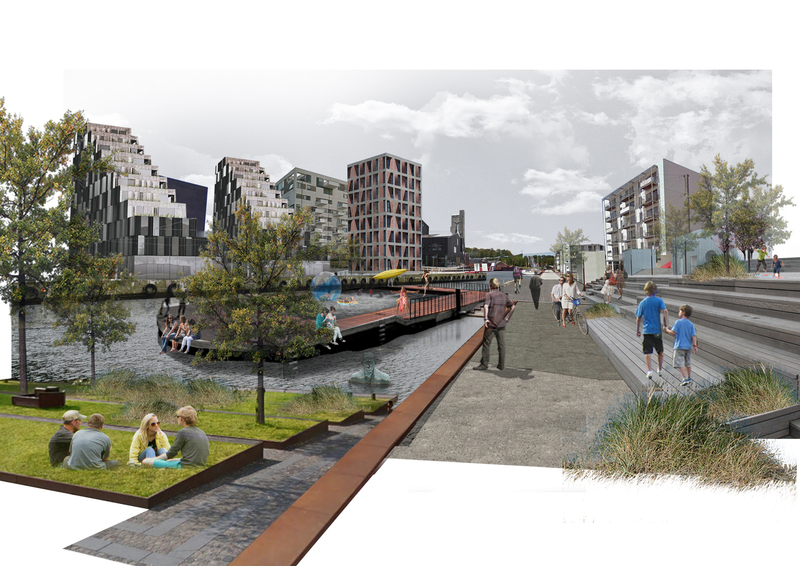 The masterplan is rooted in the area’s strong character and identity, its large scale industrial history and cultural legacy. 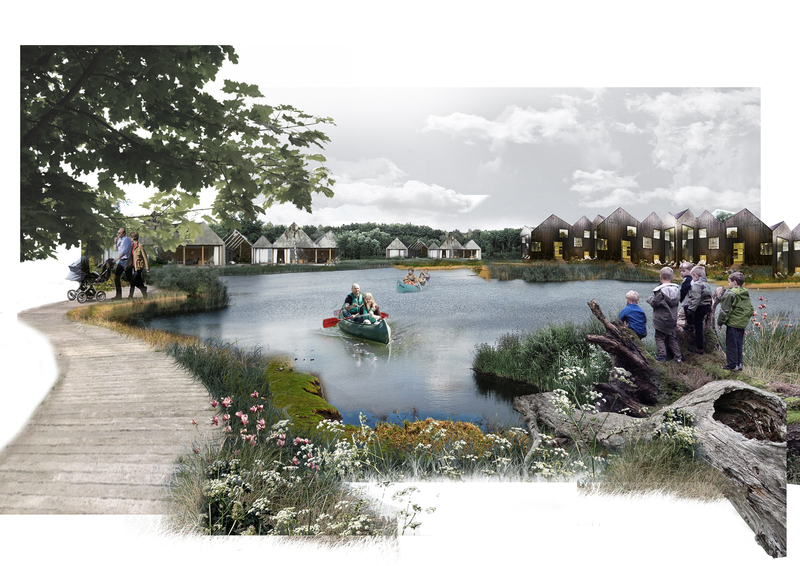 This legacy will be continued into the new urban masterplan, creating a neighbourhood which will significantly contribute to strengthening Odense as a successful metropolis, with functions and destinations brought to the harbour. This plan will be socially sustainable, with broad appeal to the whole population of the city. 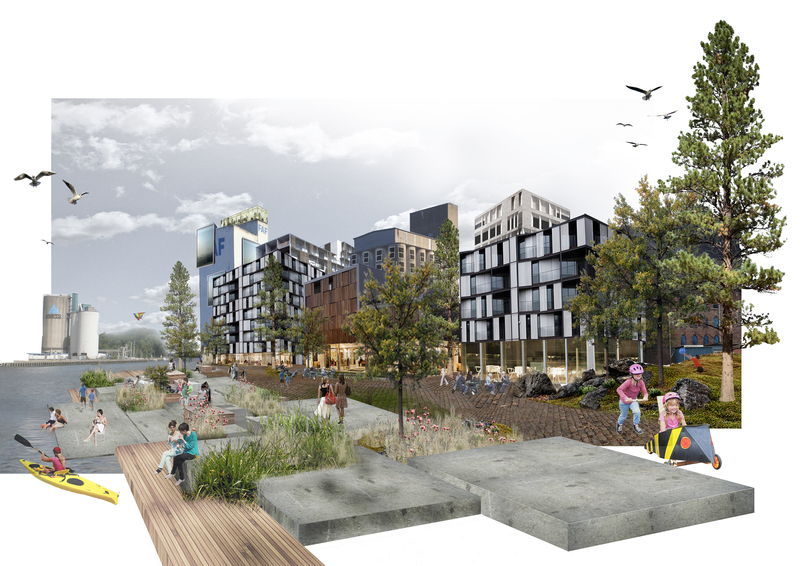 The masterplan is divided into several districts, which are tied together by a series of urban spaces, connections with the surrounding city and to a new harbour promenade. Vibrant urban life on the harbour promenade is created by making the ground level open, with public access to the quays and the water. 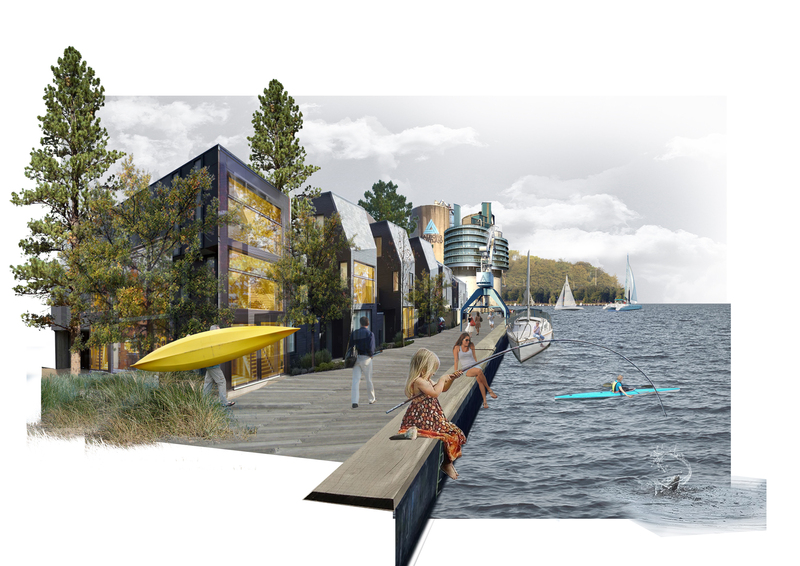 The result is a simple, flexible and sustainable design, which defines a robust set of principles for the coming years of future development at Odense Havn.